Santa Barbara Film Festival: File Joseph Litzinger and Eric Michael Schrader’s new doc under "stranger than fiction." The kind of place where you know everyone and everyone knows you — that’s how the residents of Butte, Montana describe their sleepy hometown in “Zulu Summer.” A lot of towns fit that description, but not too many have hosted foreign delegations from the Zulu tribe. Joseph Litzinger and Eric Michael Schrader’s documentary, which just had its world premiere at the Santa Barbara International Film Festival, follows the stranger-than-fiction story of Prince Siboniso Zulu’s quest to learn more about America by visiting the heartland all the way from his own home of Nongoma, South Africa — a summer-long stay made even more notable by how long it took his eventual hosts to realize he was being serious about it. Neither location jumps out as either a tourist destination or cultural hotspot, with Butte’s residents being the first to tell you that few visit the town of 34,000 unless they have to; literally no one took this offer at face value, instead regarding it as the kind of online scam that’s existed for as long as the internet itself. But the prince never asked for anyone’s credit card, and his explanation was so out-there you couldn’t make it up: A radio aficionado, he found Butte’s noncommercial KBMF on a Wikipedia list of American radio stations and sent an email. The perfect blend of an uncluttered inbox and curiosity compelled local DJ Dark Sevier to respond, and the rest is, well, you know. The story that follows is very much of the crowd-pleasing variety, from the moment the Zulu trio dances off the plane to the enthusiastic welcoming party that greets them there after their 41-hour journey. “The United States hug is very different from ours,” says one of the prince’s two companions. “It’s a very warm-welcome, have-a-beer kind of hug.” If you can resist smiling at something like that, turn back now: “Zulu Summer” isn’t for you. That moment reveals why Butte is actually the perfect spot for this kind of trip — had the Zulu landed in Los Angeles, New York, or any other big city, chances are no one would have noticed or cared. In a small community like this, however, they’re both the talk and toast of the town. Their adventures are like a real-life “Coming to America,” being introduced to everything from Walmart and beer pong to motocross and the Lieutenant Governor of Montana as they conduct their casual fact-finding mission. The elephant in nearly every room is, of course, that they’re visiting a country whose president would call their homeland a “shithole” if he actually knew where the Zulu hail from. Butte happens to be a liberal stronghold in a solidly conservative state (Hillary Clinton beat Donald Trump by 14 percentage points), however, and if the Zulu are ever subject to any kind of racism or harassment we never see it. Their summer abroad is, so far as we can tell, entirely incident-free. But as with all the small talk we see the trio engage in with their many hosts, the filmmakers seem intent on keeping things light all the way through to the uplifting tune that plays over the end credits. 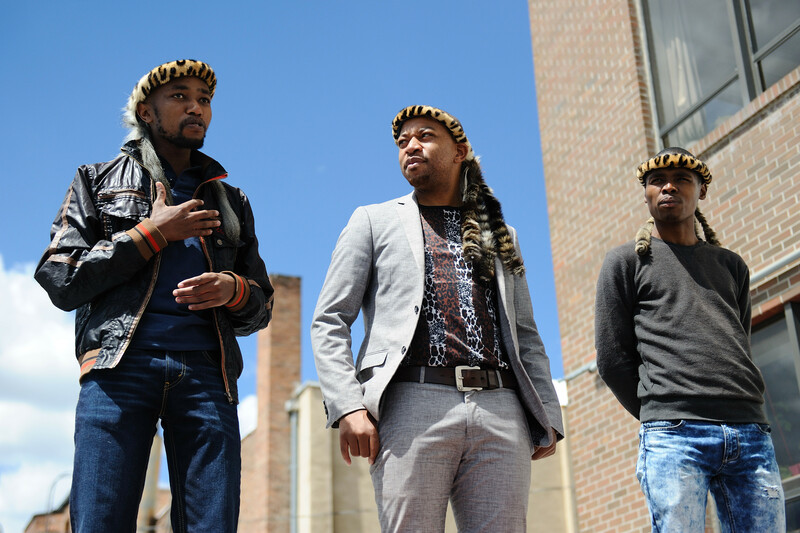 “Zulu Summer” is wholly pleasant and even heartwarming, but it isn’t especially insightful — there are only so many times you can watch a friendly local greet the Zulu trio before you wonder whether any tension is going to arise. Sevier actually addresses just that at the end of the film, arguing that the experience was “compelling without conflict” and therefore unique in these utterly divided times. All well and good, but as “Zulu Summer” goes on it’s hard not to feel like the fact that this happened is ultimately more compelling than what happened. That doesn’t prevent it from being a sweetly enjoyable trip, but it does keep it from being much more. “Zulu Summer” world premiered at the Santa Barbara International Film Festival. It is currently seeking distribution.